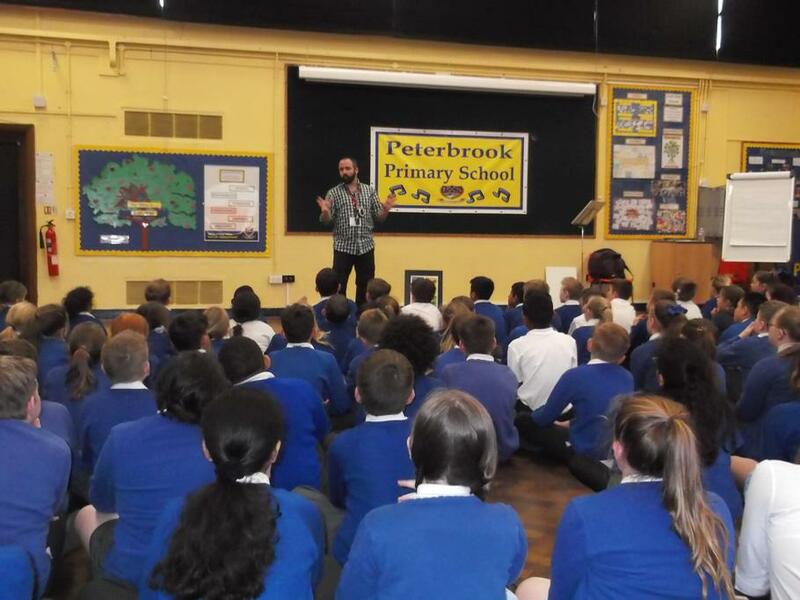 Pupils in Years 5 & 6 had a real treat on Tuesday afternoon when they were visited by author Peter Jay Black. In preparation for his visit, many children had purchased copies of his 'Urban Outlaws' series of books and had enjoyed these both at home and in the classroom. During the visit, Peter explained that he took inspiration for the stories from his later father, who loved gadgets and creating things. Peter also told our pupils that he was a daydreamer and decided that it would be worthwhile putting all of his thoughts into stories, which he has successfully done! Many children, who had pre-ordered copies of these books, were also able to get the author's signature to take home as a memory of this occassion. As our half term value is 'perseverance', it was also worth noting that it took Peter many attempts at writing a story before one was published; a sign that hard work always pays off in the end!